New rules can help brokers do what they already do even better. A new health care cost transparency law took effect in New York state on March 31. Advisors work hard helping their business clients to deal with the complexity and expense of health care insurance benefits as well as with the needs and expectations of their employees. They recognize that their clients’ satisfaction with advisory services will be greatly influenced by employees’ experience with the plan chosen by their employer. When a plan exposes employees to unexpected out-of-pocket health care costs, the surprise bills can color employees’ perception about their benefits and lead to complaints that may impact the brokers’ relationships with their clients. By keeping up with, and taking advantage of, developments in transparency in health care costs and insurance, advisors can better serve their clients, improve enrollee experience and promote greater member satisfaction. 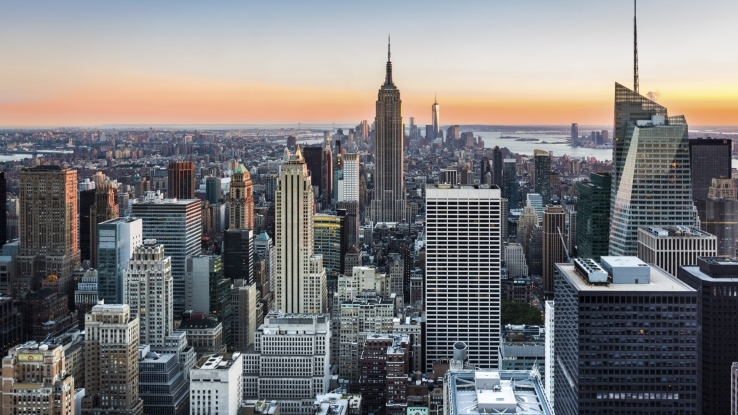 This spring a new health care cost transparency law taking effect in New York State principally focused on greater consumer protections also will enable advisors to bring greater value to their clients. Enacted with broad support throughout the health care sector, the law requires clear, detailed disclosures about plan terms and operations and limits plan members’ liabilities for emergency and “surprise” out-of-network bills to the amount of their in-network responsibilities. It also creates a new independent dispute resolution process for disagreements between a payer and provider. The rules apply to both self-funded and insured plans. Other states are considering similar legislation and even more are watching how the law unfolds in New York. Some experts see the New York legislation as a model for future health care transparency mandates across the country. The New York law requires health insurers to include in their offering materials and plan documents explanations of their terms and conditions for reimbursing out-of-network services. They also must present detailed examples that compare the reimbursement available for common procedures under their plans with the reimbursement under a plan with a standard, specified reference point for usual and customary costs. Under the New York law, the standard reference point for apples-to-apples comparisons is the 80th percentile benchmark charge for a service as reported by FAIR Health, an independent nonprofit. Although the examples mandated by the law are intended principally to support consumer decision-making, they offer advisors a clear and effective tool for helping their clients to evaluate different plan designs. Furthermore, once employers choose their plans, these new disclosures and examples can enhance plan educational materials and programs for employees. Payers and providers will have to negotiate their differences with respect to billed amounts exceeding plan members’ responsibility for emergency services and “surprise bills” under the law or seek an IDR (independent dispute resolution) ruling. Studies abound about the low level of health care and insurance literacy among consumers. While education efforts usually focus on the enrollment process, plan members also need resources for decision-making at the time they access care. For example, a plan member’s cost-sharing responsibilities may influence his or her choice of an in-network or out-of-network provider. Important terms and conditions, such as how a plan determines reimbursement for out-of-network-care, for example, whether it uses a traditional “usual, customary and reasonable” (UCR) formula or a percentage of Medicare fees, are not always fully understood by members. Insured patients may be willing to pay a little extra to go to an out-of-network doctor who is more convenient or who has been strongly recommended. They even may know that their plan reimburses at 150 percent of Medicare for out-of-network care while at the same time not understanding the level of reimbursement actually allowed by that formula. Too often, they learn the actual reimbursement level only after they receive a bill — and discover that their estimates were off and they now owe more than they expected. The New York law and others that follow its lead will help employees compare plans and better understand their out-of-network payments. It is important for brokers and benefit advisors to help build both employer and employee awareness about these health care cost transparency developments. With more and clearer information, they can make better informed decisions. It is critical that plan members understand that in order to benefit from the New York law’s in-network “cap” on their liabilities in non-emergency situations, they must make their own good faith inquiries to determine their providers’ in-network status. For example, to be protected against surprise charges for out-of-network services, consumers must research their health plans and providers, including doctors, hospitals and any other facilities, to make sure these professional and institutional providers belong to their plans’ networks. In addition, with respect to emergency care, individuals need to understand the limitation on their costs to their in-network responsibilities applies only for a true medical or mental health emergency, such as conditions that could lead to death, serious disability or disfigurement. An informed patient who stays in-network because he understands in advance his plans terms and his likely out-of-pocket costs is less likely to complain and attach blame to his employer, insurer or benefits manager than a patient who does not understand his or her plan’s rules and fails to take into account his or her potential liabilities when deciding to seek care out-of-network. New York is just one of many jurisdictions imposing disclosure requirements in the health care arena. The Patient Protection and Affordable Care Act (PPACA) requires hospitals to publicly report their prices each year and more than 42 states now have rules that require hospitals to make their price information available, to varying degrees, to the public. Many aspects of these new regulations have been embraced by key stakeholders including hospitals, doctors and insurers. And, some of their trade organizations are recommending policies that go above and beyond the laws. For example, the American Hospital Association (AHA) has guidelines which encourage their members to make their prices more transparent. An AHA report even suggests that hospitals hire “secret shoppers” to provide feedback about the level of price transparency from the patient’s viewpoint. Brokers, insurers, hospitals and providers who are still working through cost transparency implementation may be happy to know that there are materials available at my nonprofit organization, FAIR Health, to help employee benefit advisors and others in the health care community comply with the new wave of transparency laws. We also offer free access to consumer-friendly educational materials on insurance and health care costs generally. Fewer surprise out-of-pocket costs will lead to a happier workforce, greater satisfaction with employee benefits and fewer complaints coming back to the broker. Brokers have nothing to lose and everything to gain by taking advantage of, and spreading the word about, new developments in consumer cost transparency protection.